You've clearly reminded me that I must be gentle with you. Every bit of ingredient that I send your way must be delicate, carefully inspected, and made with care. Well today I have something very special for you. Something familiar. Open up your esophageal sphincter because I'm about to give you something that will make you feel wonderfully satisfied, at ease, and ...oh so much joy. 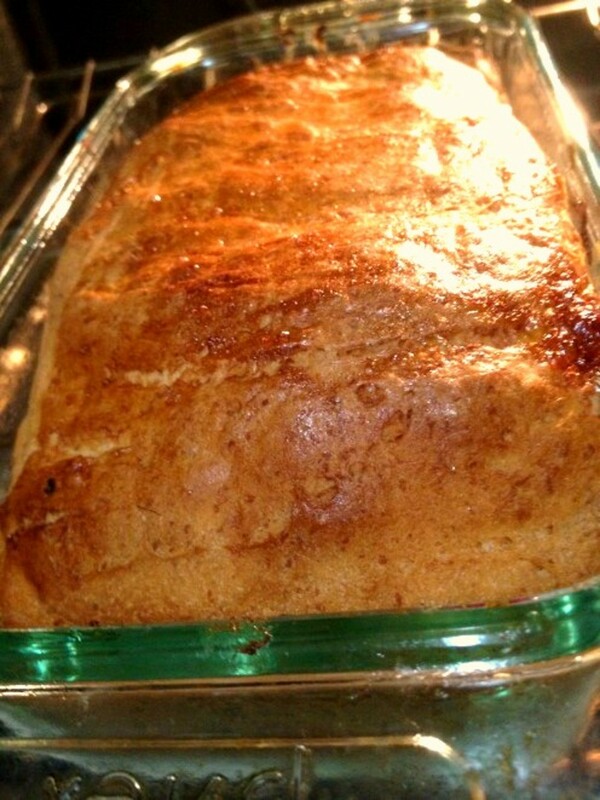 Okay, go ahead and take a bite out of this piece of gluten free and dairy free honey bread. I'll wait to give you a few moments to digest. Hmm....no comment? 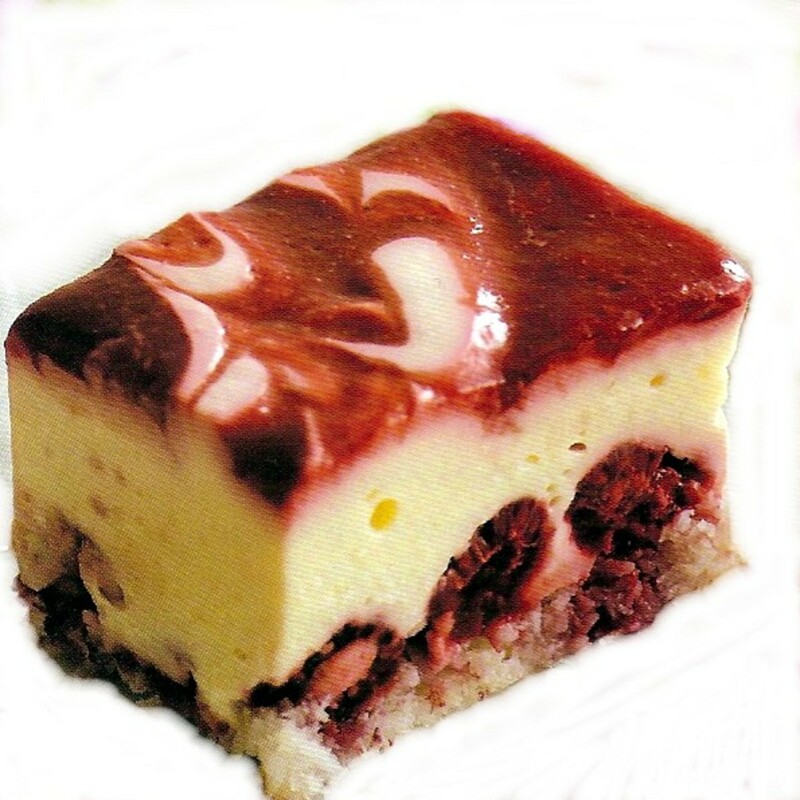 Are you speechless because you're not sure how you feel about it, or are you in shock at how delicious it is? You want to spread some peanut butter on it? Okay sure...it wouldn't hurt to add a little bit more protein. What's that? You want some Nutella hazelnut chocolate spread on it. Okay now you're asking for too much! Remember, you need to look good in the bikini this summer. 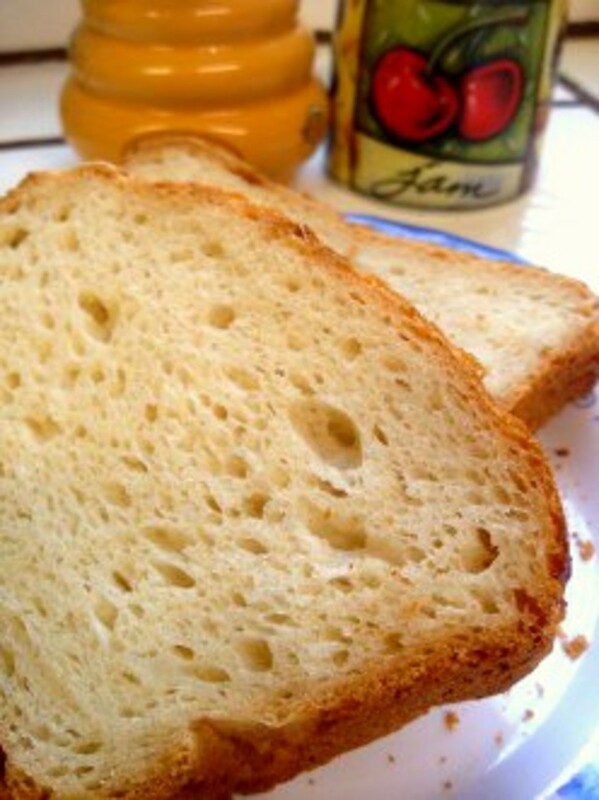 Xanthan gum and guar gum are typically found in gluten free bread recipes. They both act as thickeners and emulsifiers. 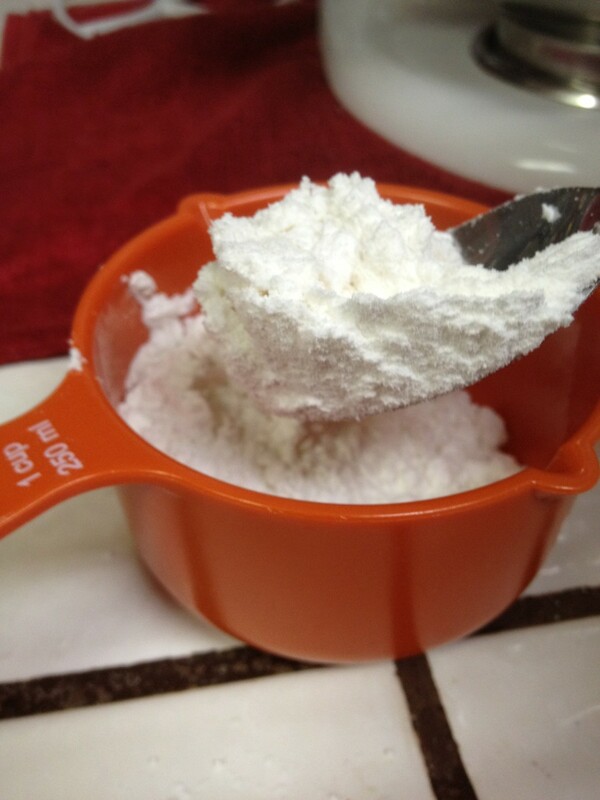 You can use just one or the other, as long as they both equal to 2 teaspoons. For the best results, I combine both of them together. If you have a digital thermometer, it should read about 210 degrees after 1 hour. Optional: for a shiny appearance, brush a coat of EGG WHITES on top of the loaf before you bake it. 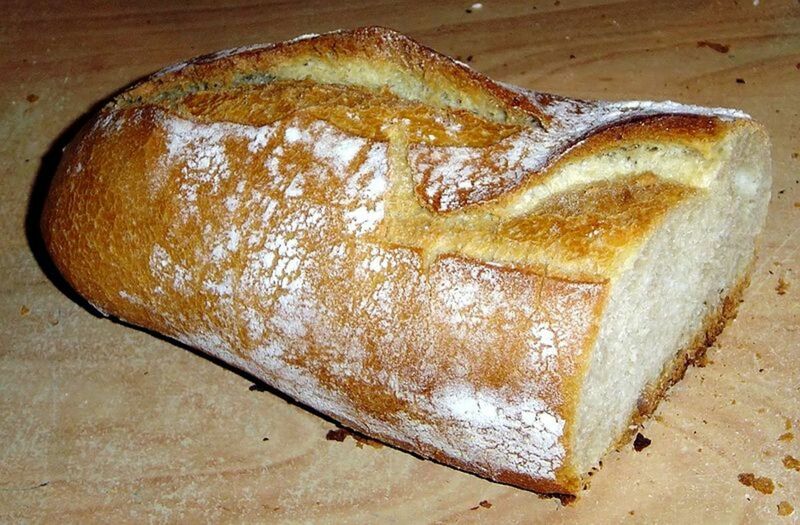 Since this bread does not require eggs, expect your bread to be slightly denser than normal. Eggs usually help it rise even higher. For this recipe I used a gluten free all purpose flour mix called Mama's Almond Blend. 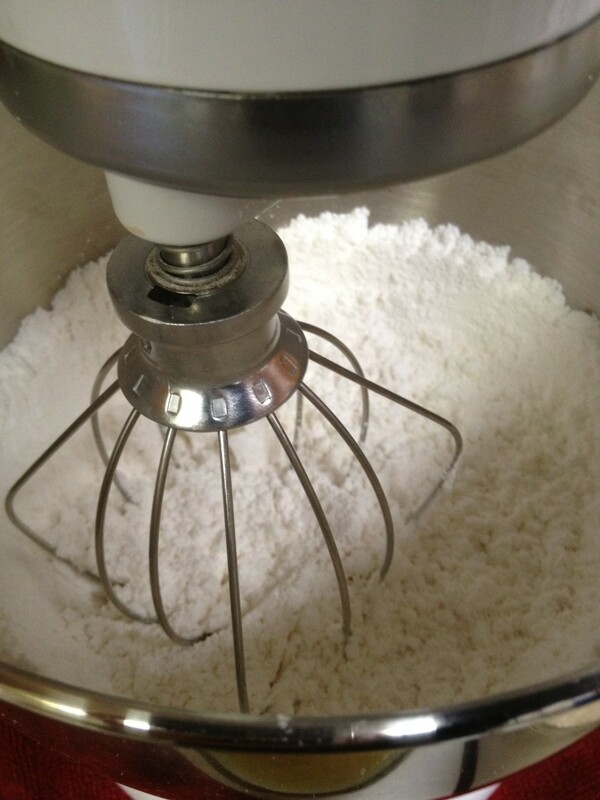 The ingredients are: White Rice Flour, Tapioca Flour, Potato Starch, Sweet Rice Flour, Almond Meal. 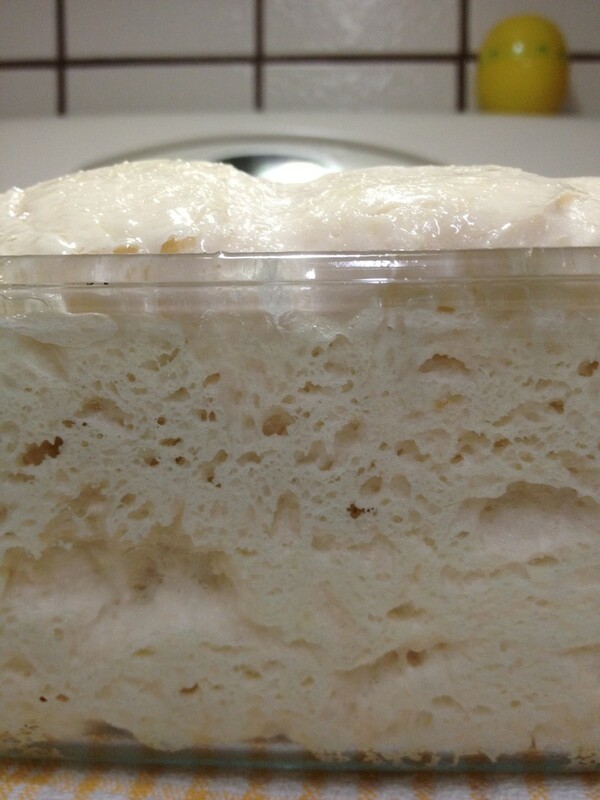 "Proof" your yeast by measuring 1 cup of warm water. Add in the yeast and sugar. Stir it gently and let it stand for 5 minutes. 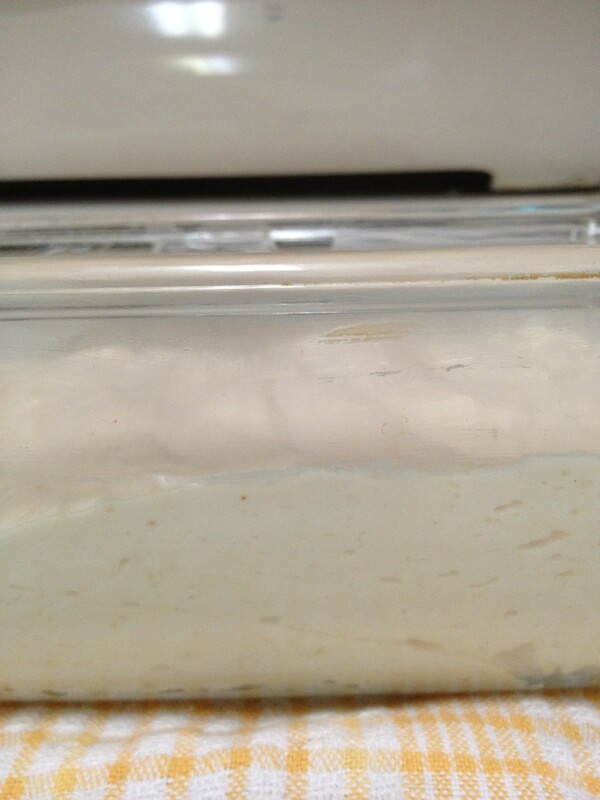 The yeast will feed on the sugar and start to create a large foamy mixture. Make sure the water is not too hot, as this will kill the yeast! 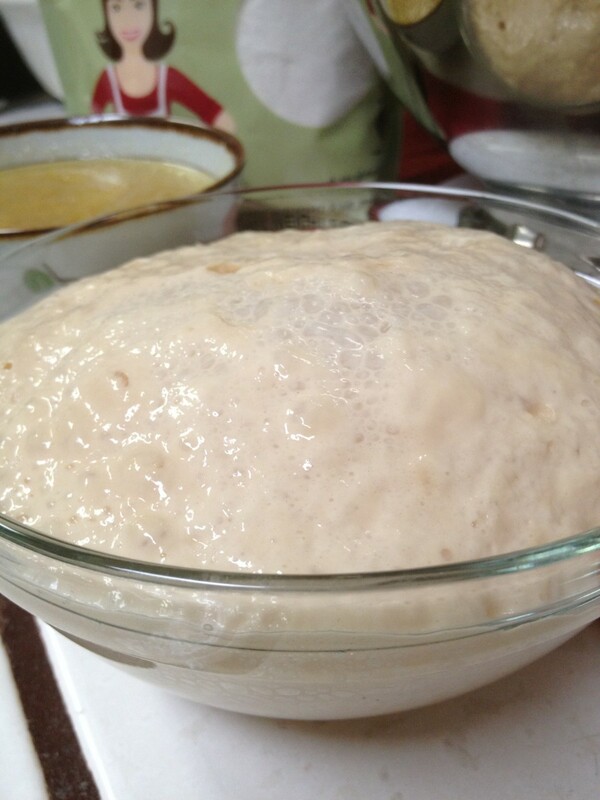 The ideal temperature should be around 110 degrees F.
By the time you've finished step 2, the yeast mixture should be foamy. 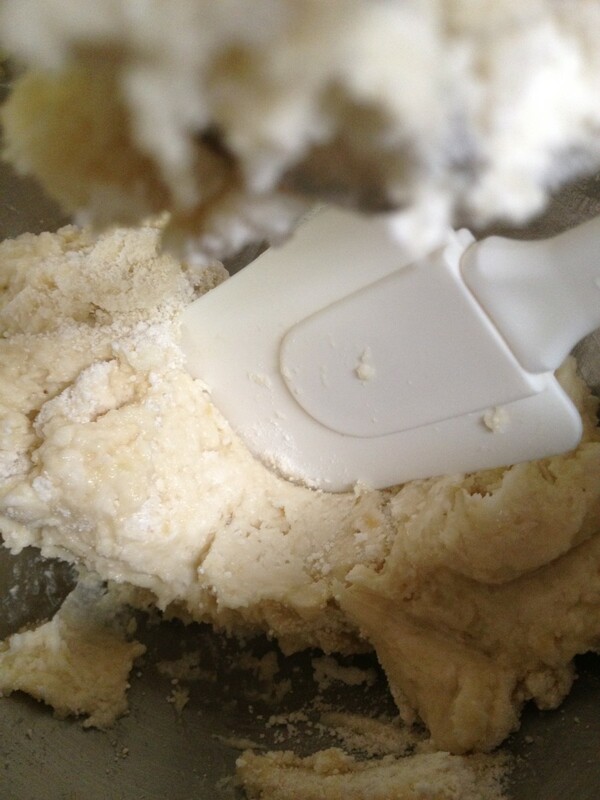 With mixer running on low speed, slowly pour yeast mixture into the dry ingredients. Now slowly pour in the oil/honey mixture. 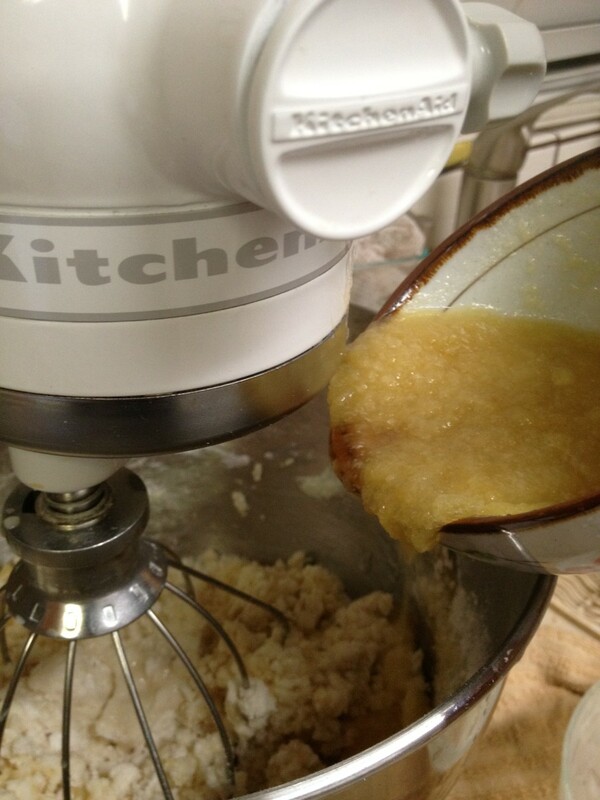 Stop mixer and scrape down sides of bowl. Beat on high speed for 3 minutes. Spray your bread pan with some PAM or rub some butter on it. 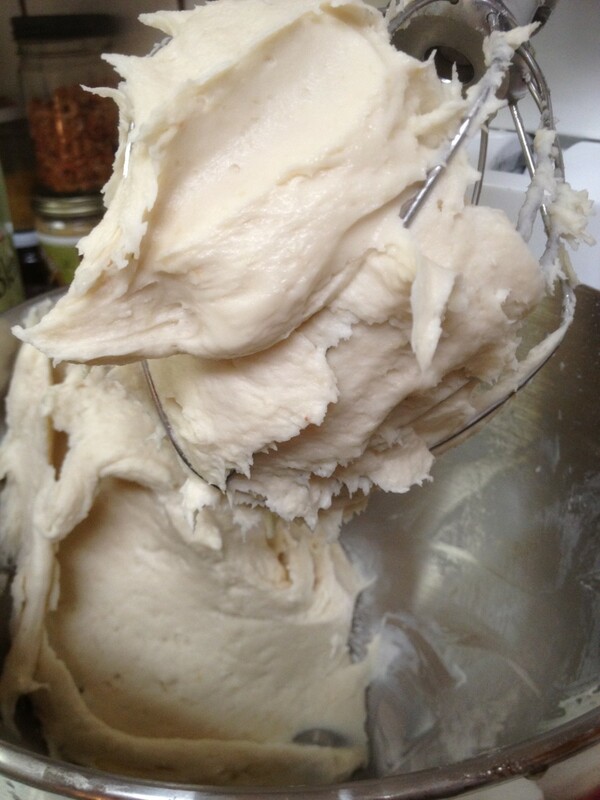 Spread dough into prepared pan. Cover with towel and place in warm area to rise for 1-1½ hours or until doubled in size. If you want it to rise faster or if your house is too cold, turn the oven on to lowest temp and leave the oven door open. 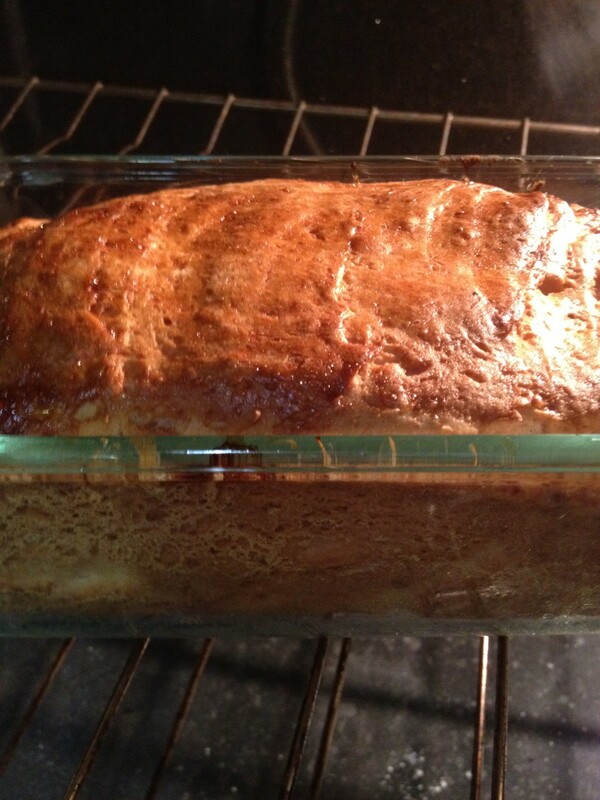 Place your pan in the oven with a shallow dish of water underneath your loaf of bread. Your dough is ready when it DOUBLES in size. Place on second lowest rack in oven. Bake for 30 minutes at 375 degrees F for the first 30 minutes. For the last 30 minutes, cover bread with a piece of foil to prevent the top from burning. When the bread is finished baking, turn off the oven and leave the oven door slightly open. Gluten-free bread can easily collapse if you take it out into a colder environment too quickly. I would suggest that you wait until the bread cools down (about half and hour) before you slice it. Eat it with your favorite jam or organic butter! Enjoy! If you are a beginner at baking gluten free bread, refer to my other article on 10 Tips to Gluten Free Baking. Feel free to contact me or leave a comment below, if you have questions about baking gluten free bread. I hope you've enjoyed reading the recipe! Now go and bake your bread! Kim Lam is a board certified Health Coach, Healthy Living and Cleanse Expert, half-marathon runner, gardener, and creator of Whole Foods, Whole Body Cleanse. 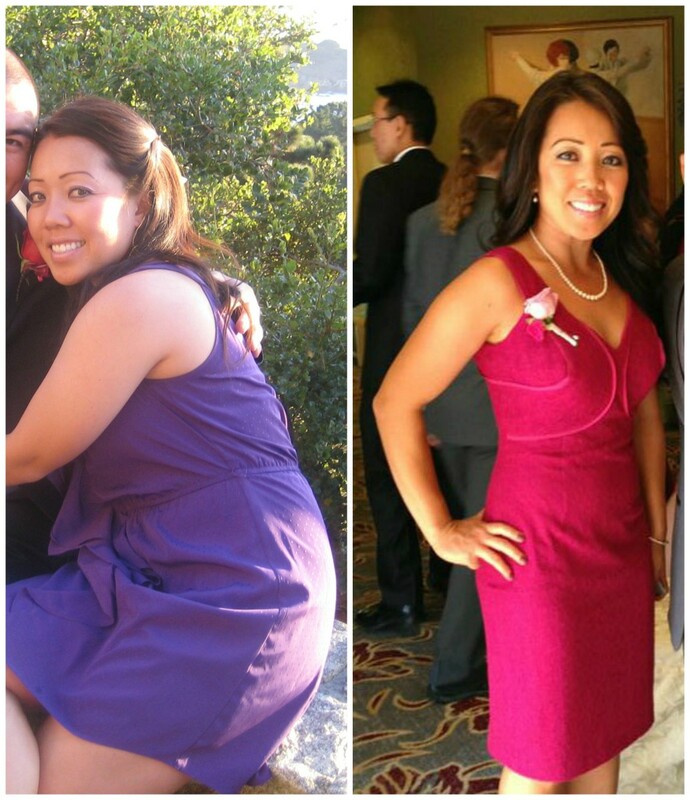 Kim Lam received her training from the Institute for Integrative Nutrition. She studied under Dr. Andre Weil, Director of Arizona Center for Integrative Medicine and Dr. Walter Willet, Chair of Nutrition at Harvard University, among many other leading researchers and nutrition authorities. She is deeply dedicated to sharing the exciting, yet critical journey to healthy living. Connect with her on Facebook where she shares many health tips and recipes. Learn how to lose weight, get rid of toxins, and decrease inflammation with her 14-Day cleanse at Lettuce Be Healthy. Can I use eggs in place of the applesauce, and if so how many? This is just exquisite to look and think about producing. Your presentation and tutorial are very well received. I eat GF bread but am sort of tired of it-- this looks like it might actually taste good? Voted up, shared, pinned, tweeted. Thank you so much for this!! Most gluten free recipes I've seen call for ingredients that are too absurd and expensive to get; but this recipe is perfect!! Thanks icmn91...please come back and let me know how it turned out and if you have any questions! Yeah, that would be nice to be allergic to broccoli...and brussel sprouts lol! Perhaps you can substitute maple syrup for the honey? Yes! I love the people I meet here! Thanks newscrunchtime, for stopping by! Just printed this recipe and will get the ingredients tomorrow. I have been craving bread and this looks wonderful. Only question is the instructions say to sad honey and vinegar to butter and I thought this was dairy free too. You're funny Marcy...yes start baking woman! There's nothing like fresh bread straight out of the oven! :-) Thanks for voting!!! 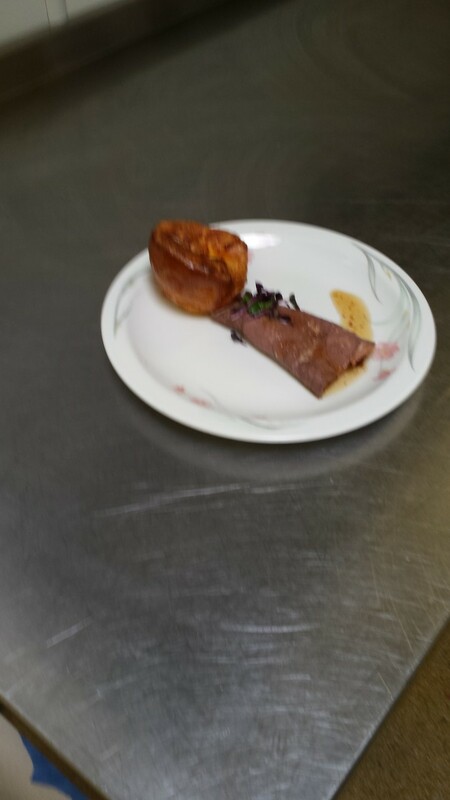 This looks so good, and you've done a great job of giving us detailed instructions and excellent photos to follow! So, that means I have no excuse to get busy and start baking a few loaves, right? This looks great. I've never seen that Mama's brand almond flour here locally so I may have to order it from your link above. Thanks.